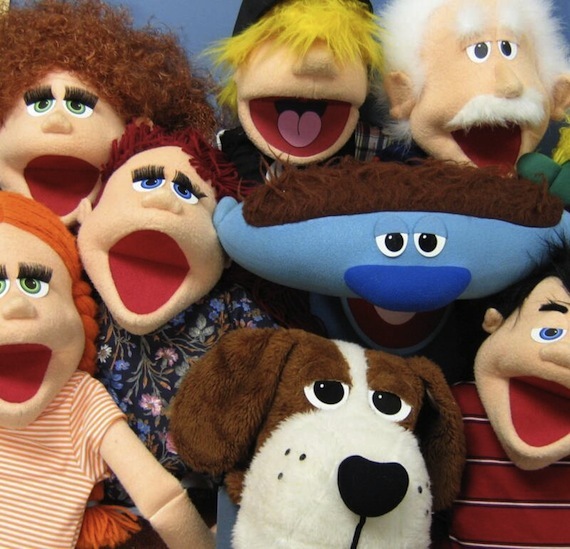 I actually do use puppets but am very limited and very specific in how I use them. I often get asked why I don’t use puppets with older kids I always say “Hensen”. They usually come back with “The boy band”. I say no, Hensen not Hanson. I now have a new reason as to why I limit the use of puppets. It is demonstrated in today’s youtube video. I have seen many things in my years as a kids pastor but this has to be the most scary most weird exhibition of religious puppetry I have seen in my entire life. Let me warn you that you may not be able to look at a puppet in the same way again. You also may not sleep for about 3 days. With all my warnings properly given there is only one thing left to say……enjoy. This would make even the Eight Pound, Six Ounce, Newborn Baby Jesus cry. The alien-mask guitarist and the white-faced accordion player really do it for me. I think that's the best commercial I've ever seen for why kids should always say no to drugs. Is the purpose of the show to exhibit to kids what life on an acid trip would be like? I love how the ear falls off of the black German puppet. So many parts are my favorite. I like how the bear says don't do drugs and the black puppet clarifies. Or when the alien mask guy plays the guitar. I can't stop laughing. Let it never be said of OUR ministries that, "It's the closest thing I've seen to a nightmare"
I still can't believe this guy says the stuff he says. Crazy. I love it when the British guy says "It's the closest thing to a nightmare" so stinking true. I'm laughing so loud right now! I cant believe that's for real, it's horrible. and incredible all at the same time! I know you warned us but now it's too late, I've watched it…The accordian player with the white face is what nightmares are made of. truly disturbing…. HA!! Watch the Tim and Eric awesome show great job. They have hired this guy to be on their show with his puppets.